I'm a little obsessed with decorative ceilings and what is more natural than to want to have clouds painted in a child's nursery or room? Who doesn't want to look up at a beautiful sky when dozing off for a nap? I know that I personally sleep best when taking a nap outdoors (in a hammock or on the beach). It just seems like it would be instantly relaxing.  Now to get these clouds on your ceiling, you can either paint clouds or use cloud or sky inspired wall paper. The first two examples below are from York Wallcoverings. They have an array of cloud wallpaper options. 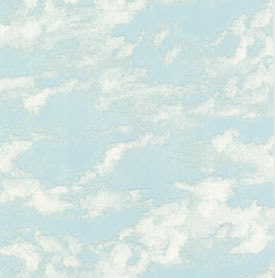 The first is called Kids Clouds RK6816 is a little more child-like because the clouds are faint and fluffy. The second Clouds VV5816 has a more sophisticated look with stronger white highlights. If you want a professional and customized design you will need to hire a muralist. 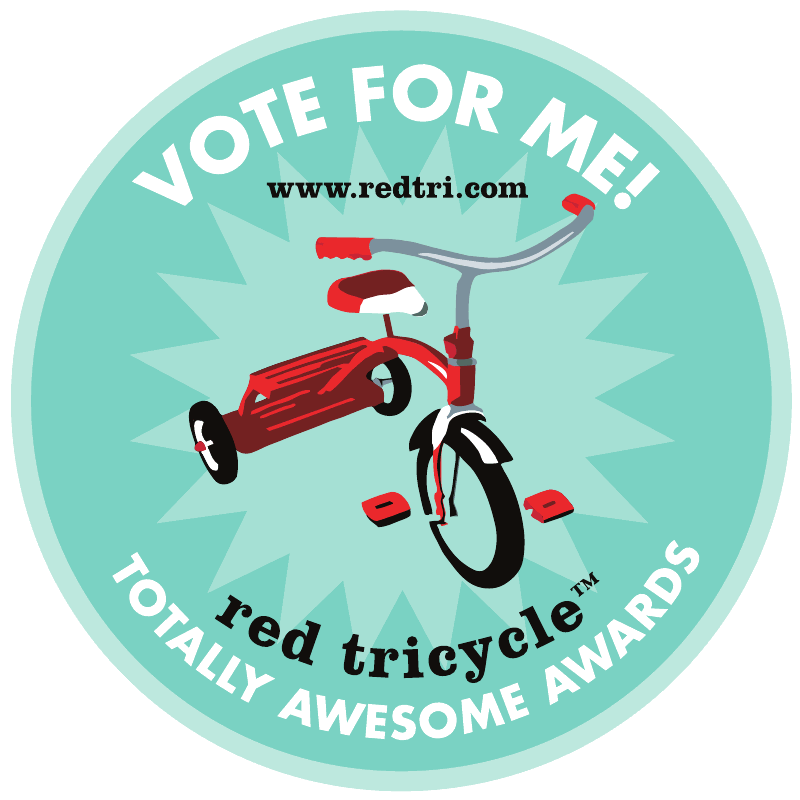 My favorite muralist in Los Angeles is Nicole Blackburn of Celadon Studio. (She is now the resident muralist at Bellini in Beverly Hills). 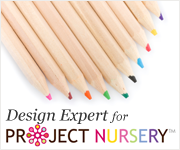 I have worked with her for over five years and she has painted numerous designs for us back at Sprout. Her clouds are ethereal and seem to glow. Also notice how the background in her sky is not just one tone and color of blue. This creates more interest and makes the sky look more realistic since nothing in nature is one solid color. If clouds seem a too sophisticated, make them a little more whimsical by adding animal shapes or maybe your child's name somewhere in the clouds. You could even make this into a fun game by having your child find their name every night before they go to bed after story time. 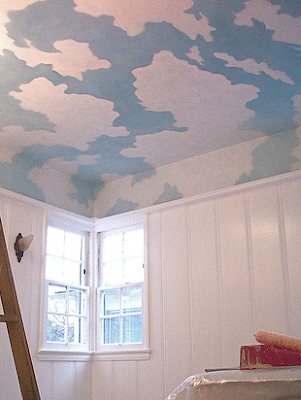 Below is a more modern take of clouds painted in a baby's room. The artist is Kate Hoffman and I really like her look of the abstract clouds for a modern nursery. 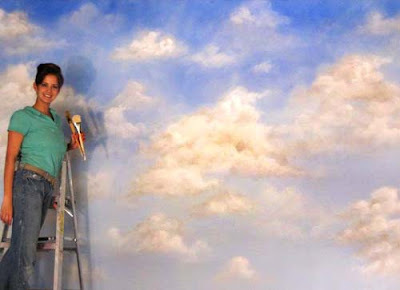 Now if you like to paint and want to try and do it yourself, visit Murals & Faux Finishing for instructions and tips. 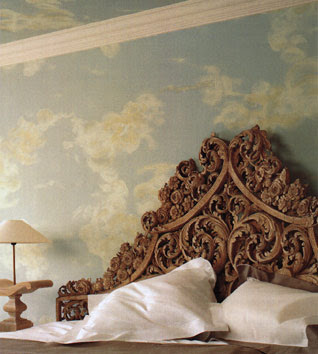 The first image in this post is from Ornamenta, beautiful hand-printed wallpapers, not for the budget conscious. bags, it's a criminal offense which impacts everybody in the united kingdom, although omega replica sale might not be obvious at first, however over time, it may trigger permanent harm to the actual economic climate. In the event that bags as well as the woman's manufacturer flower in order to popularity, it had been completely because of the quality which designated all of the corporation's louis vuitton replica bags. High quality may be the trait of any solitary replica rolex that's shown available. The actual seams, the liner, the actual concealed wallets, the actual equipment, the actual band, the actual quilting bags attempt around you are able to, body fat look for a solitary crudely created bags. Counterfeits however would be the precise opposites. They're created using just one part of thoughts. Earnings fake rolex for sale which is the main point here along with a concern. All your other points you ought to be searching for each time you acquire some thing such as performance as well as sturdiness arrive an unhealthy 2nd.